The Medal of Honour is the highest and most prestigious award that can be given to American servicemen for distinguished service in the field of battle. Many of the medals are awarded posthumously, either because they died in battle, or because so much time has passed before they were recognised for their acts. Private Jacob Parrot was the first person ever to be awarded the Medal of Honour. Parrot, along with six other Union soldiers, we awarded for their actions during the Great Locomotive Chase, also known as Andrews’ Raid, during the Civil War. The raid ended in failure – some of the raiders were captured and executed, most of the damage was repaired quickly, and Union army postponed their attack on Chattanooga. William Harvey Carney was the first African-American awarded the Medal of Honour. He was born a slave in Virginia, but eventually made his way to freedom in Massachusetts. 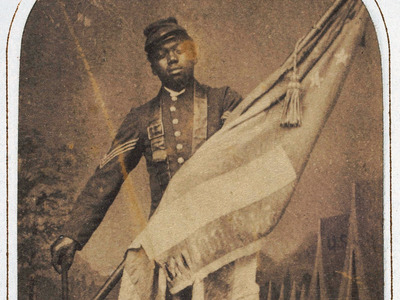 When the Union Army began accepting volunteers, he joined the 54th Massachusetts Infantry Regiment, the first African-American unit in organised by the northern states, though it was led by white officers. The 54th Massachusetts Infantry Regiment, led by Robert Gould Shaw, was tasked with taking Fort Wagner, a beachhead fortification that guarded the southern approach to Charleston Harbour. A previous attack on the fort failed, and the 54th was chosen for the next attempt. As the soldiers stormed the fort’s walls, the Union flag bearer was killed. 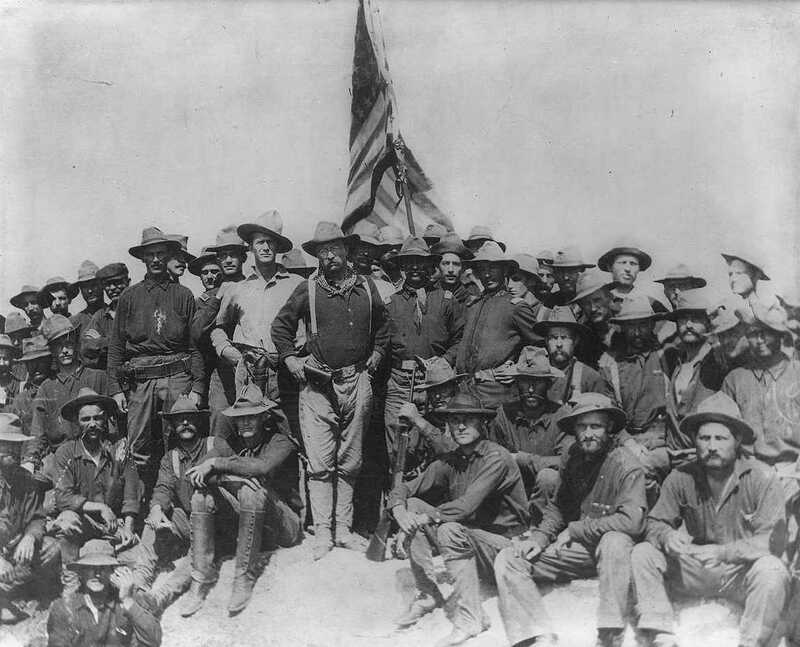 Carney grabbed the flag and held it for the duration of the battle. 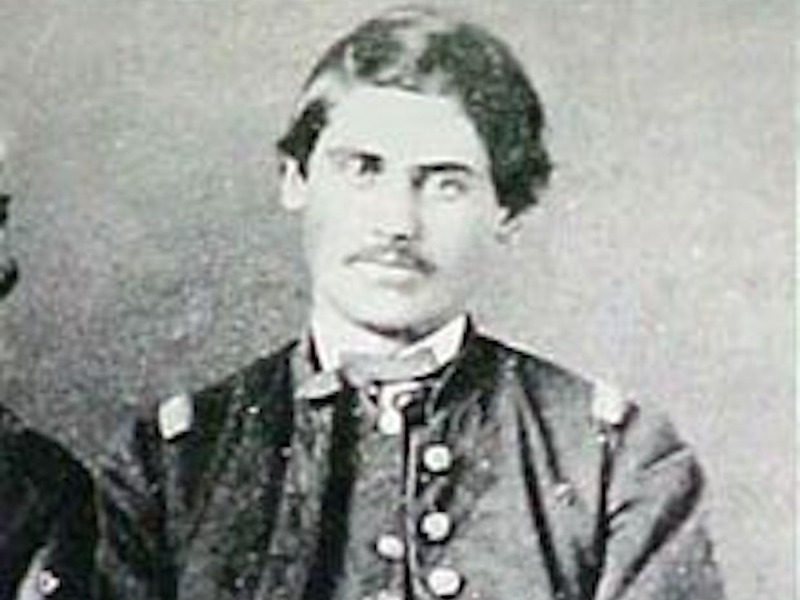 Carney, along with the rest of the 54th, was forced to retreat. 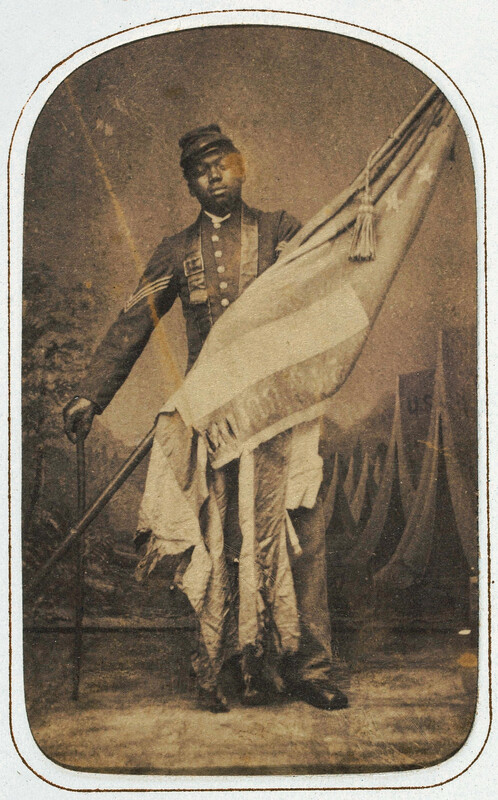 Throughout the battle Carney never lost possession of the flag, despite suffering multiple injuries. “Boys, I only did my duty; the old flag never touched the ground!” he said after the battle. 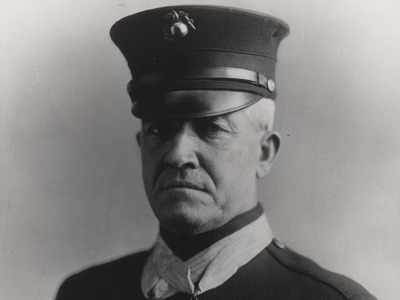 Carney was awarded the Medal of Honour in 1900. Wikimedia commonsWalker with her Medal of Honour. 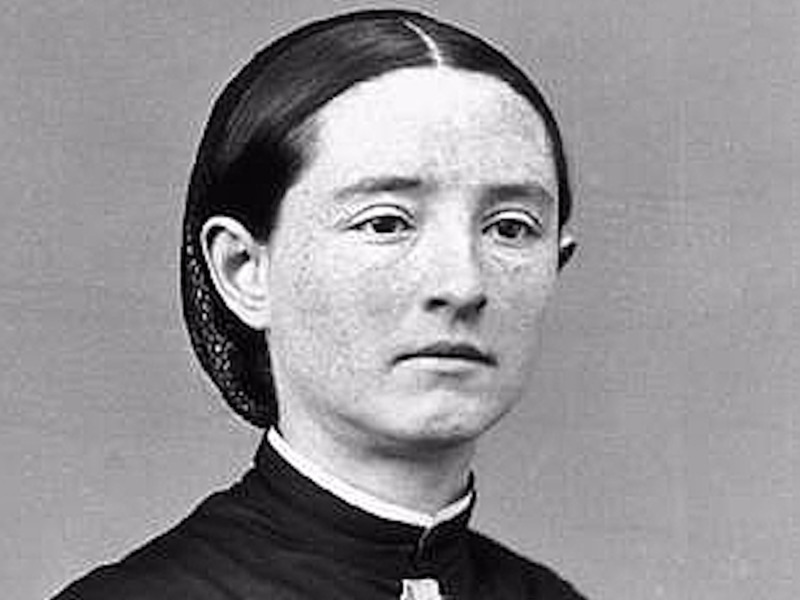 Dr. Mary Edwards Walker is the first and only female recipient of the Medal of Honour in US history. She was an abolitionist and medical doctor who tried to join the Union Army as a surgeon, but was unable to because she was a woman. 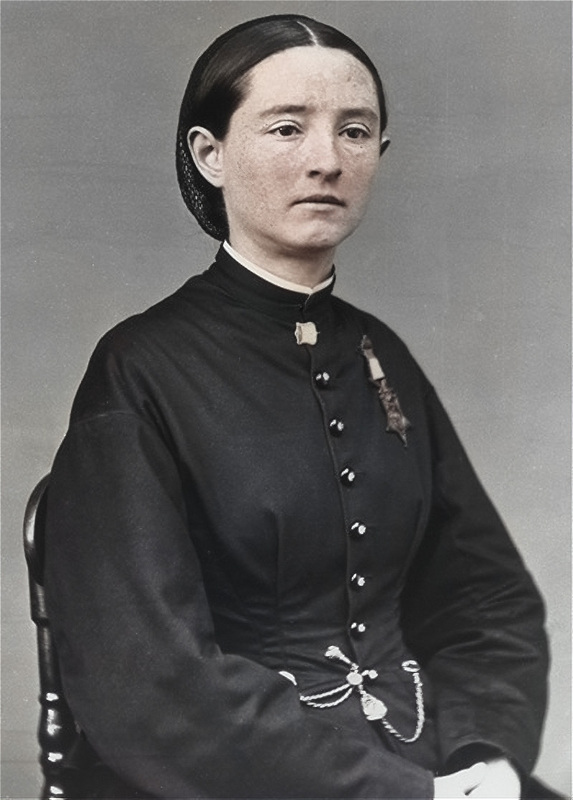 In 1863 she was finally allowed to work as a “Contract Acting Assistant Surgeon,” and wore a modified uniform of her own designed that looked like a man’s. During her service she “devoted herself with much patriotic zeal to the sick and wounded, both in the field and hospitals.” She was captured by the Confederates, but released in a prisoner exchange. Major Generals William T. Sherman and George H. Thomas both commended her for her service, and President Andrew Johnson awarded her the Medal of Honour in 1865. Her award was temporarily rescinded in 1917 after it was determined that it was “unwarranted” because of her status as a civilian. She refused to give her medal back and wore it every day until her death in 1919. President Jimmy Carter reinstated Walker’s medal in 1977. 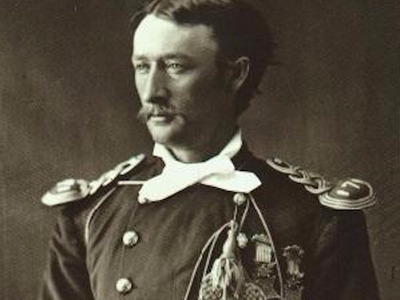 Thomas Ward Custer was the first soldier to receive two Medals of Honour – both for actions in the Civil War. Three days later, at the Battle of Sailor’s Creek, Custer again seized a Confederate flag during a cavalry charge, but in a much more dramatic fashion. Theodore Roosevelt is the only president to have received the Medal of Honour, though he did so for actions prior to his term, and wasn’t actually awarded the medal until 2001. 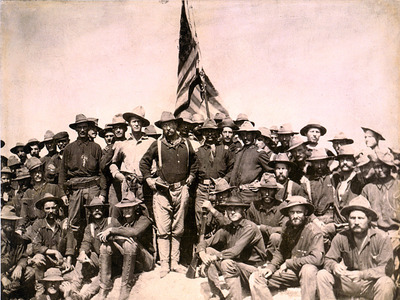 Upset at the lack of progress, Roosevelt managed to convince his superiors to send his unit, known as the Rough Riders, to assist the infantry in their assault. Technically against orders, and “in total disregard for his personal safety, and accompanied by only four or five men” he led his unit in a charge up the hill. Roosevelt was the first American who made it to the Spanish trenches. The charge inspired other soldiers to follow, and the tide of the battle turned. Roosevelt was nominated for the Medal of Honour during the war, but officials in the Army, upset over his disobedience and his new fame, blocked it. His nomination was finally confirmed in 2001 by President Bill Clinton. Daniel Daly is one of only two Marines who received two Medals of Honour in two different conflicts. His first medal was awarded for his actions a the Battle of Peking (now called Beijing) during the Boxer Rebellion in 1900. After a pitched battle, then-private Daly’s unit managed to take the Tatar Wall. His unit then left to get reinforcements and supplies to reinforce the wall, leaving Daly alone to guard it. Daly’s second Medal of Honour was awarded for his actions at the Battle of Fort Dipitie, during the occupation of Haiti as part of the Banana Wars. Daly is also famous for reportedly yelling at his troops “Come on, you sons of b——, do you want to live forever? !” before charging German trenches during the Battle of Belleau Wood in World War I. He was recommended for a third Medal of Honour after that battle, but was given the Navy Cross instead. 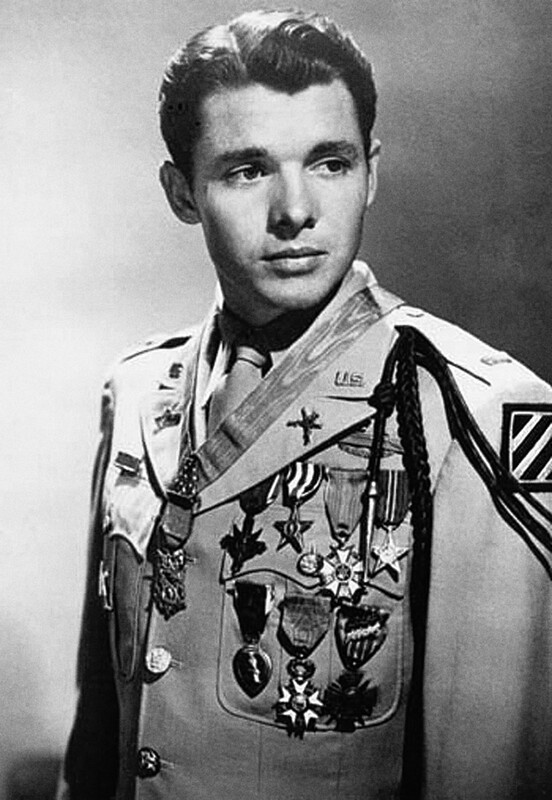 Wikimedia commonsAudie Murphy photographed in 1948 wearing the U.S. Army khaki ‘Class A’ (tropical service) uniform with full-size medals. Murphy’s Medal of Honour was awarded when he was just 19 years old, for his actions at the Colmar Pocket in December, 1945. Murphy and his unit were ordered to hold against a German counter-attack in the area. After the Germans hit their M10 tank destroyer, causing it to burst into flames. Murphy ordered his troops to fall back. Alone, he covered their retreat and held off the Germans by mounting the burning tank’s .50 calibre machine gun and calling in artillery strikes. His position was attacked on three sides by 6 tanks and waves of infantry. Wounded and out of ammunition, he returned to his company, refused medical treatment, and organised a successful counterattack. He is credited with killing or wounding 50 Germans by himself. “For an hour the Germans tried every available weapon to eliminate 2d Lt. Murphy, but he continued to hold his position,” his citation reads. 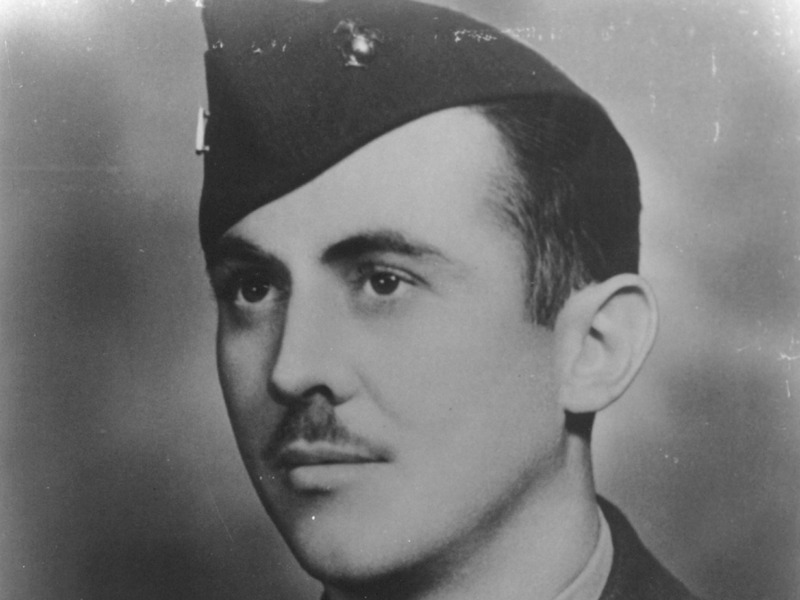 William D. Hawkins was a US Marine who was posthumously awarded the Medal of Honour for his actions at the Battle of Tarawa in 1943. Daniel Inouye was one of only seven US Senators to receive the Medal of Honour. He was awarded the medal for his actions during a battle in the vicinity of San Terenzo, Italy. Inouye and his unit were tasked with attacking a part of the Gothic Line, a German defence line in Europe. As they attacked, German machine gunners opened fire, pinning them down. Inouye’s men distracted the third and final machine gun nest while he crawled toward it. As he was about to throw a grenade into it, a German grenade blew up, almost completely separating his right arm from his body. Inouye’s grenade was“clenched in a fist that suddenly didn’t belong to me anymore.” He pried it out with his left hand, threw it into the nest, and shot at the remaining Germans with his Thompson submachine gun one-handed. 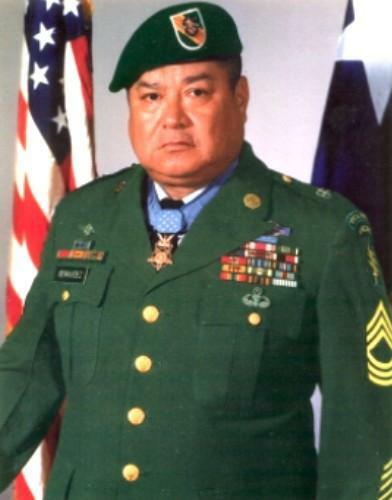 Inouye was originally awarded the Distinguished Service Cross, but it was upgraded to the Medal of Honour by President Bill Clinton in 2000. 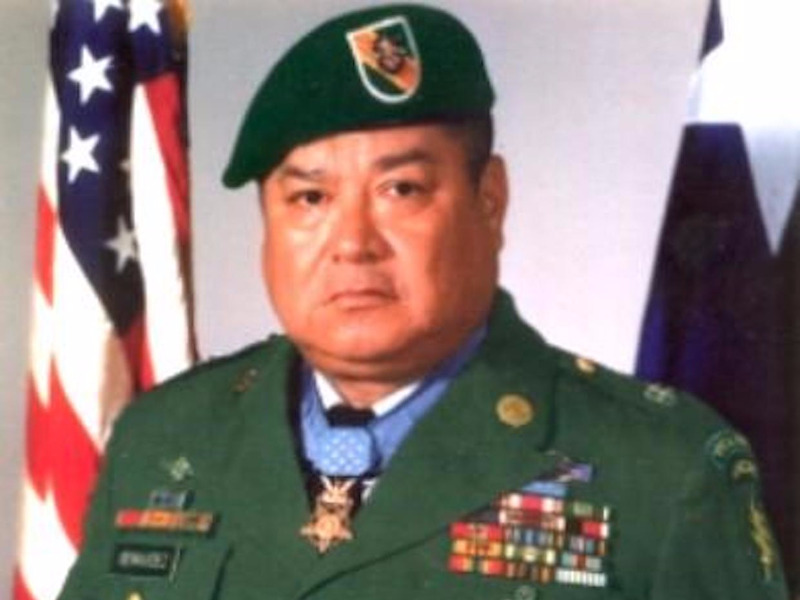 As Benevidez went back to secure classified documents from the body of a dead soldier, the helicopter’s pilot was mortally wounded, and the aircraft crashed. 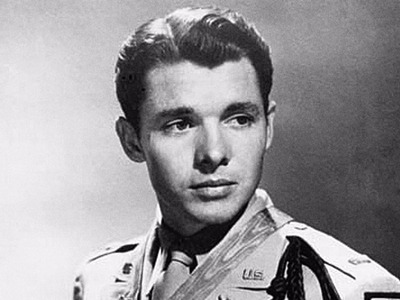 In 1981, his award was upgraded to the Medal of Honour. Wikimedia commonsSergeant First Class Randy Shughart, left, and Master Sergeant Gary Gordon, right. 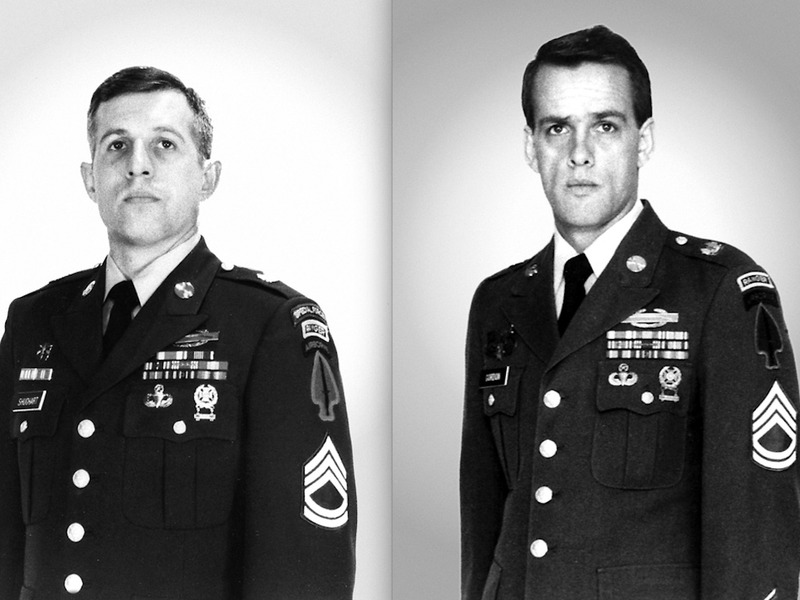 Sergeant First Class Randy Shughart and Master Sergeant Gary Gordon, were two Delta Force snipers who were posthumously awarded the Medal of Honour for their actions in the Battle of Mogadishu in 1993. During an operation to capture Aidid’s top lieutenants, two Black Hawk helicopters were shot down by Somali militiamen. One of the Black Hawks, codenamed Super 64, was shot down while US forces were trying to secure the first crash site. Shughart, Gordon, and Durant were attacked by a mob of militants. They held off the mob and killed an “undetermined number of attackers” before they ran out of ammunition and were overrun. Wikimedia commonsDunham in 2000, during recruit training. 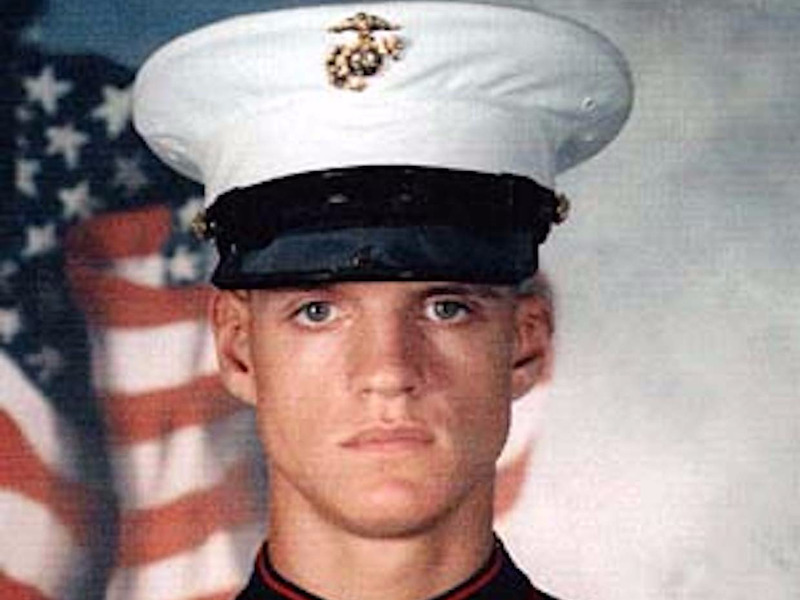 Jason Dunham was posthumously awarded the Medal of Honour for sacrificing himself to save his fellow Marines during the Iraq War. Dunham’s unit was conducting a patrol in Husaybah, Iraq, when a firefight erupted nearby. His unit was ordered to intercept cars in the area that had been spotted at the attack. Dakota Meyer is a US Marine who was awarded the Medal of Honour for his actions at the Battle of Ganjgal on September 8, 2009, in Kunar Province, Afghanistan. Meyer’s unit, along with some Afghan National Army (ANA) soldiers set out to engage Taliban forces, and to protect anti-Taliban village elders in Ganjgal. The Marines were told that they would not have immediate close air support, but that there was artillery support in the area. As soon as they arrived, the task force was ambushed on three sides by over 100 Taliban militants – more than were originally estimated by intelligence reports. He was awarded the Medal of Honour two years later, on September 15, 2011.